At a time when LG is pushing the boundaries and installing all sorts of cameras in the V40 ThinQ (the ultra-wide/normal/tele trifecta we’ve all been waiting for), Apple and Samsung are taking a conservative approach and perfecting their dual camera game. As it stands with this generation, the two companies’ configurations have never been more alike. They were already pretty similar last year, but with the iPhone XS’s adoption of a larger 1/2.55″ sensor with dual pixel autofocus for the main camera, the differences in hardware are indeed minimal. We wondered for a bit whether a table showing the specs side by side is at all warranted between these two, but we figured we’d provide one anyway. 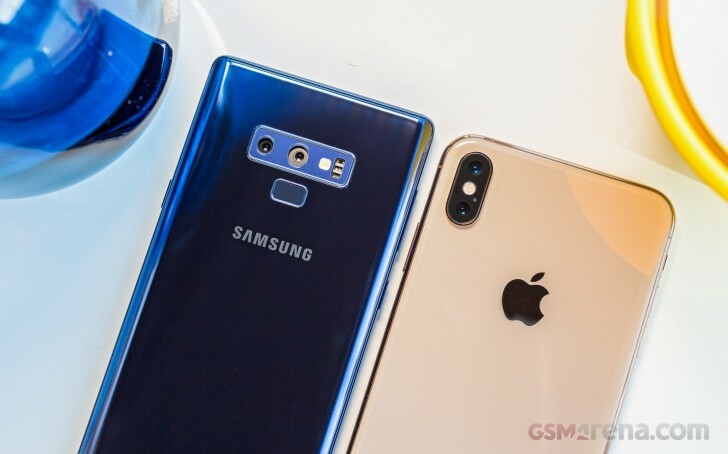 As you can see, on the back it’s practically the primary cam’s aperture that’s the only thing setting them apart – the Note9 is rocking its dual aperture main module, while the iPhone XS Max has more conventional single-aperture optics. Over on the front the Galaxy clearly has the upper hand with the hardware – the lens of its selfie cam has a brighter aperture, the focal length is wider, the sensor is larger and the pixels are bigger, plus there’s a million or so more of them. We’ll go over the specifics of the hardware in more detail on the following page, where we’ll also have a quick look at the camera apps of the two phones. And we’ll then go out shooting.